Horse betting guide part 4: What is totepool betting? The art of betting on horse racing in Britain is as old as the sport itself; the ‘Sport of Kings’ was used as a way for the gentry to indulge in their wont to place wagers against each other as far back as the 16th century. Today, things have moved on a tad but still the betting instinct remains. These days people trade millions of pounds on the sport on a daily basis. Betting on horses is a major cultural tradition in the UK. But where do you start and how do you make sure you’re doing it right? Let us guide you through the basics of placing bets on horse racing in a safe and secure way. We’ll also show you how to get the best value for money for your bets. To this day, we flock to the local betting shop in our droves to place our bets, especially at weekends. By 11AM on Saturdays most shops are bustling and aside from the growing trend for placing football accumulators, wagering on the old staple of horse racing remains a huge attraction for the betting public. There are a number of advantages to betting online as opposed to doing it in shops. Without having to maintain shops and pay wages, the costs for an online bookmaker are much lower, meaning they can afford to offer better odds and bonuses to the punter as well as free bets. Even when a high street bookmaker also operates online, the prices they offer in the shops vary dramatically from those they offer on the internet. For a neophyte, online is usually the way to go because it is so much less intimidating. Walking into a betting shop and not knowing what to do in order to place your bet is quite embarrassing for some people, whereas online most things are explained as you go along by the online bookie. When placing your bet in the shop, it is virtually impossible to know what prices rival bookmakers are offering in the area. Most localities won’t have every bookmaker available and so the firms who are operating have a captive audience and have little incentive to offer great prices. Betting online means having the opportunity to see what odds or bonuses each bookie is offering as they happen. Therefore, getting that value for money is a much simpler task. 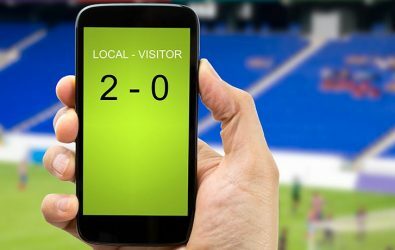 The ability to place bets from a mobile phone or tablet has revolutionised betting in recent years. This is especially true of horse racing when the events are on live TV as punters can see how the horses are behaving moments before the race, as well as listen to expert views and see how the betting market is shaping up before deciding to have a bet. Betting online means that when you have won you can receive your payment instantly. When betting in the shops, the only way to achieve this is to stand in the shop and watch the race there. Usually, betting in the shops means making a second trip there to pick up our winnings! Using an online firm, the money will hit your betting account instantly. Some are quicker than others to put the money into your bank once you have requested a withdrawal. Many horse racing and greyhound punters love the betting shop environment. Others, however, don’t want others to see them in one for their own personal reasons. Placing bets online makes the experience a private one between you and your bookie. That anonymity can suit some people’s lifestyle choice. It can also take away that potentially intimidating trip to the shop, if it’s not your bag. Since the rise of the online bookmaker; the gambler is more in control than ever before. Naturally the betting firms have an overround – the book being shaped in their favour – and that’s to be expected, but there is so much competition out there from both home and abroad that they all have to be competitive. As well as showing their standard prices for each race, bookmakers will offer various sign-up bonuses. These can be very lucrative for a first timer. Getting the best value for money is crucial for your football bet. Make sure you shop around; use oddschecker.com for an easy way to compare prices across the board for all races. Opening an account with various online firms is not a bad thing. Not only is this free, but sign-up bonuses are offered by all major online firms too. The standard way of offering these bonuses now is for the firm to match your sign-up amount; i.e. if you sign-up and deposit £20, they will offer you £20 of free bets. Some bookmakers also offer loyalty bonuses, ensuring that good deals are not simply for new customers. The more you bet the more loyalty bonuses you receive, but remember that it’s important not to bet for the sake of it. Always wait for the right opportunity to come along. It’s that simple! You can simply write it out on a standard betting slip and hand it to the cashier. No question is regarded as stupid in a betting shop either, so always ask for help if you are unsure of anything. If you’ve signed up with a reputable online bookmaker however, placing your bet is incredibly easy. Simply select the desired race you wish to bet on, then your selection and enter your stake. Do remember that for full cover bets, your ‘unit’ stake will not be the final amount you are committing to. We will look at multiples and full cover bets in more detail soon to make sure you are not stung by the myriad of possibilities they can throw up. If you have signed up to more than one bookmaker you may be able to place your bet straight from a comparison site. By comparing prices on oddschecker, you will be able to make your decision and then by clicking on the price offered by that bookmaker you can place your bet straight from there.